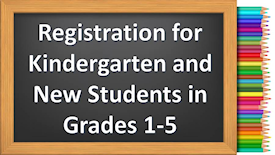 Please bring your child in when registering for a readiness screening. Click below to see full banner for more info. Call for an appointment or more info.